You’ve probably heard that pounding the pavement for miles and miles may not be good for your joints. However, did you know that sitting all day at the computer might be worse? You may have other daily habits that are equally as bad for your knees, hips, shoulders and more. Arthritis does run in families, but the truth is that you can do things that increase your risk of joint problems, and no one wants that. 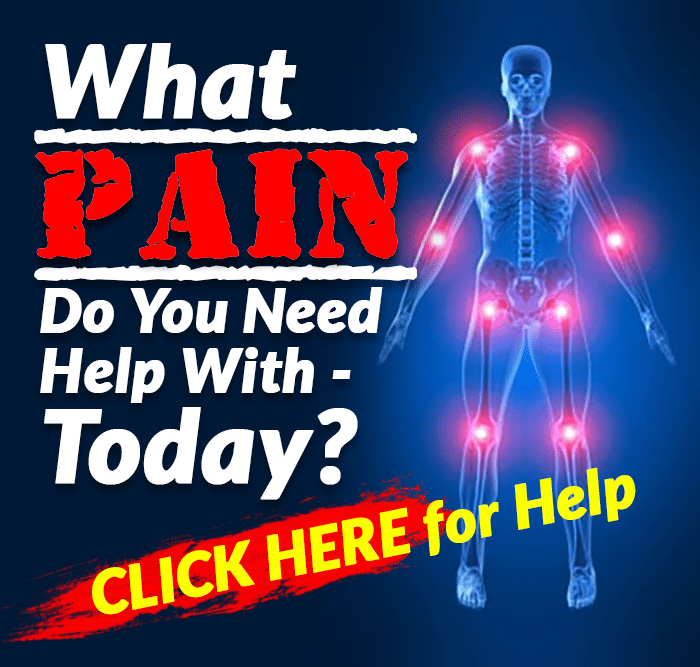 What might you be doing right now that puts you at risk for arthritis or makes your already-diagnosed arthritis worse? We’ve got the 10 most common things right here. If you can avoid these, you increase your odds of enjoying more comfortable movement into later life. Exercise helps keep your joints healthy. If you already have arthritis, it can also have a huge effect on pain and mobility. It can be difficult when you’re feeling stiff and sore, but the more you avoid your exercise routine, the more you’re likely to hurt. A number of studies have examined the effects of exercise on both osteoarthritis (OA) and rheumatoid arthritis (RA), and the evidence keeps piling up — exercise helps. In a 2011 study, for example, researchers noted that exercise training for RA patients helped improve fatigue and strength and substantially improved function while likely reducing cardiovascular risks. “All RA patients should be encouraged to include aerobic and resistance exercise training as part of routine care,” they said. Scientists found similar results with exercise in OA, stating that as long as a patient doesn’t have a joint injury, they should be actively encouraged to exercise regularly as it helps to preserve joint range of motion, boost strength, facilitate weight loss and reduce symptoms of the disease. They go on to state that exercise should be one of the mainstays of treatment for OA of the hip and knee. Recent research even suggests that the long-held belief that exercise contributes to arthritis may not be true. They observed more than 1,000 people and gathered data on their exercise habits and any joint problems. They found no link between exercise and arthritis of the knee. 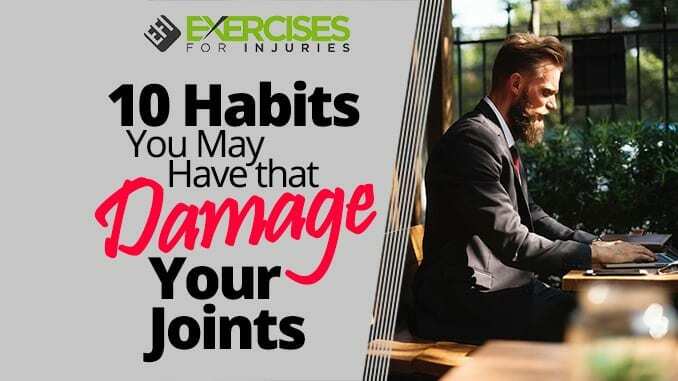 Even if you’re exercising for 30 to 60 minutes a day, if you’re sitting for much of the rest of the day, you’re probably going to suffer from joint pain. When you stay in the same position for too long, the blood flow slows to the lower body, tiring the muscles and straining the joints. You may have heard about the studies linking sitting time to an increased risk of mortality. The body is just not made to be still for prolonged periods of time. Recent research found that after just two weeks of inactivity, participants lost muscle mass and experienced increases in body fat, particularly dangerous abdominal fat. Both of these things — muscle weakness and overweight — increase strain on joints. Harvard University researchers reported in 2017 that the average American is now twice as likely to develop arthritis as his or her grandparents were because people are less active, in general, and more likely to be overweight and obese. Instead of staying still, find more ways to move. Get up from the chair every 10 to 15 minutes, take phone calls standing up and walk around at least once an hour. You need to exercise every day, but there’s such a thing as overdoing it. Sometimes, we want to feel like we used to, and we push it too hard. That can cause joint injuries and make it harder for you to enjoy the benefits of regular exercise. Most people suffer from exercise-related injuries when they try a new type of exercise. Instead of building up to it slowly, they try to do the entire workout or run a half marathon within a few weeks. Taking it slowly so that you can build up stamina and strength helps you get where you want to be without risking joint injury. Listen to your body. If you’re feeling pain, lighten up. Use exercise to help you feel better, but go at your own pace. If you’re a runner, that’s fine. In a 2017 study review, scientists noted that the data showing an association between hip and knee OA and running were conflicting, so they examined data from 25 studies involving more than 125,000 individuals. They found that recreational runners had a lower occurrence of OA compared with competitive runners and to those who didn’t run at all. The researchers concluded that a sedentary lifestyle or high-volume and high-intensity running were more likely to lead to OA. Recreational running, however, did not. The best answer is to vary up your exercise. Don’t pound your knees into the ground with running. Enjoy running one day, then alternate with joint-sparing cycling the next. Try swimming once a week, rebounding or an easy walk. Get together with friends for a hike or a horseback ride. Then, go back to your run. The more variety you can get, the better you’ll feel. Both of these forms of exercise/stretching have been associated with improving joint comfort and reducing the symptoms of arthritis. If you’re not taking advantage of them, you’re missing out. Even older adults with OA who were unable to perform typical yoga poses still received benefits from “chair yoga,” a modified version of the exercises. Researchers found that it reduced pain and fatigue and improved quality of life. Tai chi, because of its slow, graceful moves, can help reduce pain and physical impairment in people with arthritis. In a 2010 study, researchers reported that arthritis patients who practiced tai chi twice a week for eight weeks experienced improvements in pain, fatigue and stiffness. They also felt an overall increased sense of well being. Studies show that strength training is key for protecting joint health and for slowing the progression of arthritis. In fact, the Arthritis Foundation states that strength training is “essential” for arthritis, because it reduces pain, increases range of motion and boosts bone density. The thing is, muscles help support joints. When the muscles around your joints are strong and toned, they take some of the pressure off the joint itself and help support it through movement. When your muscles are weak, your joints experience more strain during movement, which can result in pain and inflammation. According to one study, “muscle loss and fat gain contribute to the disability, pain and morbidity associated with knee osteoarthritis (OA), and thigh muscle weakness is an independent and modifiable risk factor for it.” They went on to test strength training in about 370 people with arthritis and found that it slowed the progression of the disease, lowered pain levels and decreased inflammation. Another review of eight trials showed that strength training improved strength and confidence, boosted function and reduced pain. Start slowly, and consider using resistance bands rather than weights — they require a gentler, steadier movement. If you’re having trouble sleeping, it’s bad for your joints and likely to make your pain worse. That’s what scientists found in a 2015 study — poor sleep was linked to pain, disability and depression. Other studies have also found that sleep deprivation increases inflammation, which in turn, increases pain. On the other hand, better sleep improves comfort. A good night’s sleep has been associated in studies with reduced sensitivity to pain. Sometimes, existing joint pain can make it hard to fall asleep or may wake you up in the middle of the night. If you’re finding this to be the case, check with your doctor. The best approach is to treat both the pain and insomnia at the same time as they tend to feed each other. In addition, do everything you can to increase the likelihood that you’ll get a good night’s sleep. Try stretching before bed to loosen muscles (yoga works great); turn the phones, televisions and computers off; turns the lights down; enjoy a warm bath; and go to bed at the same time every night. You can also try some lavender or lemon balm tea before bed — both are relaxing and calming. Don’t forget to exercise every day. A 2014 study found that a regular exercise program improved not only pain and stiffness, but sleep quality as well. Sugar and white flour can spike blood sugar levels, which can lead to inflammation and — you guessed it — pain. These types of foods also increase the risk of becoming overweight, which puts more pressure on the joints. Two studies released in 2015 revealed how diet can affect RA. The first one found that the typical Western diet high in red meat, processed meat, refined grains, fried food and sweets could increase a person’s risk of developing RA compared to healthy diets made up mostly of fruits, vegetables, legumes, whole grains, poultry and fish. The second study found that following the Dietary Guidelines for Americans, which advocates more fruits and veggies and whole grains, reduced the risk of developing RA by 33 percent compared to those who didn’t follow the guidelines. A 2003 study also reported that RA patients who followed a Mediterranean diet — which includes fish, whole grains, healthy fats like olive oil, lots of fruits, vegetables, seeds and nuts — reduced overall inflammation, increased physical function and improved vitality. We make vitamin D in the body when the skin is exposed to the sun. We also get a little bit from food, but not enough. That means if you’re not getting enough sun exposure minus the sunscreen, you are probably low on vitamin D, which is bad news for your joints. Scientists now know that low blood levels of vitamin D are associated with an increased risk of both OA and RA. Studies also show that OA gets worse three times faster in people with inadequate vitamin D and that vitamin D deficiency is highly prevalent in RA patients and may also be linked to disease deficiency. Yet, many of us aren’t getting enough. In 2008, researchers reported that vitamin D deficiency is now recognized as a pandemic and, in 2009, they found that three-quarters of Americans were deficient. The recommended daily allowance for this vitamin is 600 to 800 IUs a day, although many health experts advise that you get 1,000 IUs. To get more vitamin D, expose yourself to sunlight without sunscreen for just 10 to 15 minutes every other day. Then, consider taking supplements, particularly in the darker winter months. It’s also wise to ask your doctor to check your vitamin D levels to be sure you’re in the safe range. Some of us are addicted to our soda pops, but if you have joint pain or arthritis, it’s time to choose a different beverage. Studies have suggested that consuming sodas on a regular basis can worsen arthritis pain and inflammation. In the Framingham Osteoarthritis study, for example, cola intake was associated with lower bone mineral density in women’s hips. Bone mineral density is a measurement of bone health. The mean bone mineral density of those who consumed at least one cola a day was 3.7 to 5.4 percent lower than in those who consumed less than one cola a month. Similar results were seen with diet colas. In another study, researchers followed 46,000 middle-aged men with a history of gout and found that those who drank two or more sodas a day had an 85 percent higher incidence of developing gout than those who drank less than one soda a month. Those who drank one soda a day had a 45 percent higher incident rate. In a 2014 study, researchers found that regular consumption of sugar-sweetened soda increased the risk of RA in women. Soda not only increases the risk of arthritis, but it can also make it worse if you already have it. In a 2012 study, researchers reported that patients who drank the most soda had the quickest progression of OA, with cartilage depletion occurring faster than in those who didn’t drink so much soda. Try more joint-friendly beverages like water, which helps rehydrate the joints, tea and pain-relieving tart cherry juice. In addition to the 10 items above, poor-quality shoes can also contribute to joint pain and deterioration. 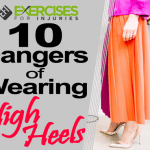 High heels throw your balance off kilter and can cause knee pain and back pain. Shoes that don’t provide enough cushioning or arch support can also contribute to pain and stress on the joints. Visit your podiatrist and find out exactly what your feet need to keep your body aligned correctly. Orthotics and properly fitting shoes can help you avoid joint damage. Jennifer K. Cooney, et al., “Benefits of Exercise in Rheumatoid Arthritis,” J Aging Res., February 13, 2011; https://www.ncbi.nlm.nih.gov/pmc/articles/PMC3042669/. David J Hunter and Felix Eckstein, “Exercise and Osteoarthritis,” J Anat., February 2009; 214(2):197-207, https://www.ncbi.nlm.nih.gov/pmc/articles/PMC2667877/. “Just 2 weeks of inactivity could lead to changes that increase risk of developing disease,” European Association for the Study of Obesity, May 16, 2017, https://www.eurekalert.org/pub_releases/2017-05/eaft-j2w051517.php. Peter Reuell, “Bad knees through the ages,” Harvard Gazette, August 14, 2017, https://news.harvard.edu/gazette/story/2017/08/harvard-research-explores-post-wwii-rise-in-knee-arthritis/. Eduard Alentorn-Geli, et al., “The Association of Recreational and Competitive Running with Hip and Knee Osteoarthritis: A Systematic Review and Meta-Analysis,” Journal of Orthopaedic & Sports Physical Therapy, 2017; 47(6):373-390, http://www.jospt.org/doi/10.2519/jospt.2017.7137?code=jospt-site. “Does exercise contribute to arthritis? Research says no,” Harvard Healthbeat, https://www.health.harvard.edu/healthbeat/does-exercise-contribute-to-arthritis-cinnamon-treatment-for-diabetes. H. Moonaz, et al., “Yoga in Sedentary Adults with Arthritis: Effects of a Randomized Controlled Pragmatic Trial,” The Journal of Rheumatology, 2015; 42(7):1194, http://www.jrheum.org/content/42/7/1194. “Study: Tai Chi relieves arthritis pain, improves reach, balance, well-being,” UNC School of Medicine, [Press Release], November 2010; http://www.med.unc.edu/www/newsarchive/2010/november/study-tai-chi-relieves-arthritis-pain-improves-reach-balance-well-being. Juyoung Park, et al., “A Pilot Randomized Controlled Trial of the Effects of Chair Yoga on Pain and Physical Function Among Community-Dwelling Older Adults with Lower Extremity Osteoarthritis,” Journal of the American Geriatrics Society, 2016. Stephen P. Messier, et al., “Strength Training for Arthritis Trial (START): design and rationale,” BMC Musculoskeletal Disorders, 2013; 14:208, https://bmcmusculoskeletdisord.biomedcentral.com/articles/10.1186/1471-2474-14-208. Nancy Latham and Chiung-ju-Liu, “Strength training in older adults: The benefits for osteoarthritis,” Clin Geriatr Med., August 2010; 26(3):445-449, https://www.ncbi.nlm.nih.gov/pmc/articles/PMC3606891/. “Sleep and Pain: The vicious cycle that could make your arthritis worse,” Arthritis Foundation, http://www.arthritis.org/living-with-arthritis/pain-management/chronic-pain/sleep-factors.php. Durcan L., et al., “The effect of exercise on sleep and fatigue in rheumatoid arthritis: a randomized controlled study,” J Rheumatol., October 2014; 41(10):1966-73, https://www.ncbi.nlm.nih.gov/pubmed/25128510. “Better Sleep Eases Arthritis Pain: Study,” NewsMax, July 18, 2015, https://www.newsmax.com/Health/Health-News/pain-sleep-arthritis-study/2015/07/18/id/657780/. American College of Rheumatology (ACR), “Diet may determine your risk for rheumatoid arthritis,” ScienceDaily, November 8, 2015, https://www.sciencedaily.com/releases/2015/11/151108084643.htm. L Skoldstam, et al., “An experimental study of a Mediterranean diet intervention for patients with rheumatoid arthritis,” Ann Rheum Dis., 2003; 62:208-214, http://ard.bmj.com/content/annrheumdis/62/3/208.full.pdf. Linda Antinoro, “Can diet improve arthritis symptoms?” Harvard Health, June 5, 2017, https://www.health.harvard.edu/nutrition/can-diet-improve-arthritis-symptoms. Ifigenia Kostoglou-Athanassiou, et al., “Vitamin D and rheumatoid arthritis,” Ther Adv Endocrinol Metab., December 2012; 3(6):181-187, https://www.ncbi.nlm.nih.gov/pmc/articles/PMC3539179/. Tucker KL, et al., “Colas, but not other carbonated beverages, are associated with low bone mineral density in older women: Framingham Osteoporosis Study,” Am J Clin Nutr., October 2006; 84(4):936-42, https://www.ncbi.nlm.nih.gov/pubmed/17023723. Yang Hu, et al., “Sugar-sweetened soda consumption and risk of developing rheumatoid arthritis in women,” Am J Clin Nutr., September 2014; 100(3):959-967, https://www.ncbi.nlm.nih.gov/pmc/articles/PMC4135503/.